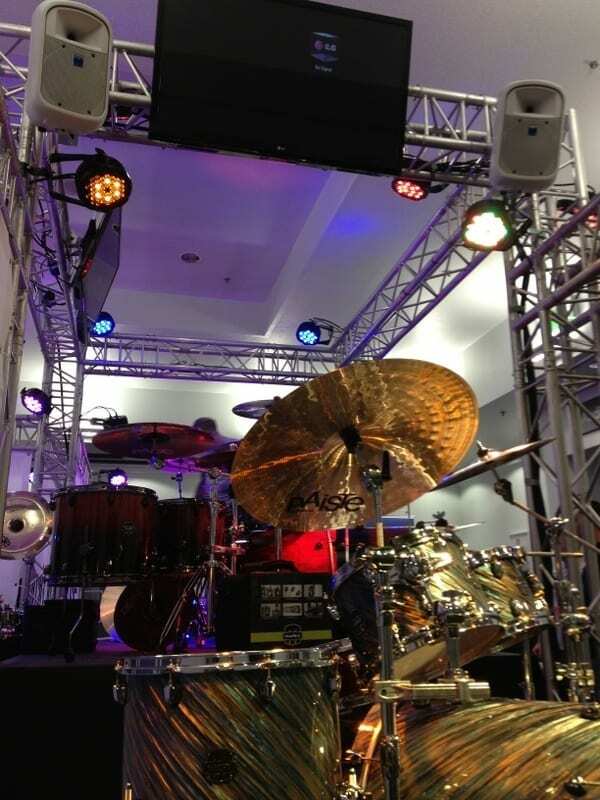 We are proud to have worked with Korg for the 3rd year in a row on their stand for the London Drum Show. Their exhibition stand displayed the latest products using dramatic lighting and multi-angle focus points, making full use of the stand space available to them. Having a long lasting relationship with Korg meant meeting their design requirements was a pleasure and easily arranged. Minimal fuss meant maximum impact in this case as we set up the truss base design with staging on different levels. Plasma screens showed the company video on a loop and a PA system focussed to engage with attendees of the exhibition.